Designed for the fast-growing SUV market, has attractive styling and delivers a smooth, quiet ride. Computer optimized small block tread pattern minimizes noise while providing excellent wet traction. Unique rounded casing profile delivers smooth comfortable ride. 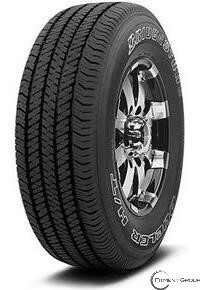 Extra deep tread provides added traction and extends tire life.